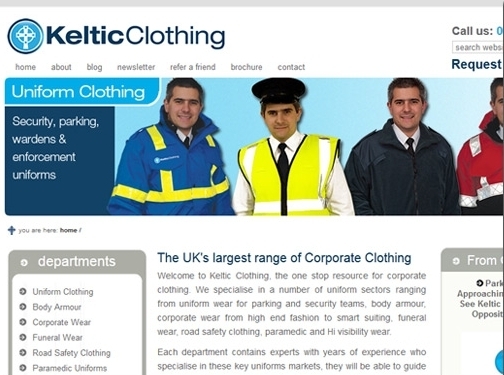 Keltic Clothing are the number one in the UK for uniform clothing, body amour, funeral wear, corporate wear and much more. Our prices are low and our quality is high, you wont be disappointed with our products and services. UK (Walsall) based company - established since the 1980s - providing corporate workwear for sale. Website includes catalogue of workwear, details of business premises, regularly updated blog, full company contact details.